In any area of design colour plays a huge role from print to digital media. Colour can help convey different emotions, capture target audiences and communicate action. 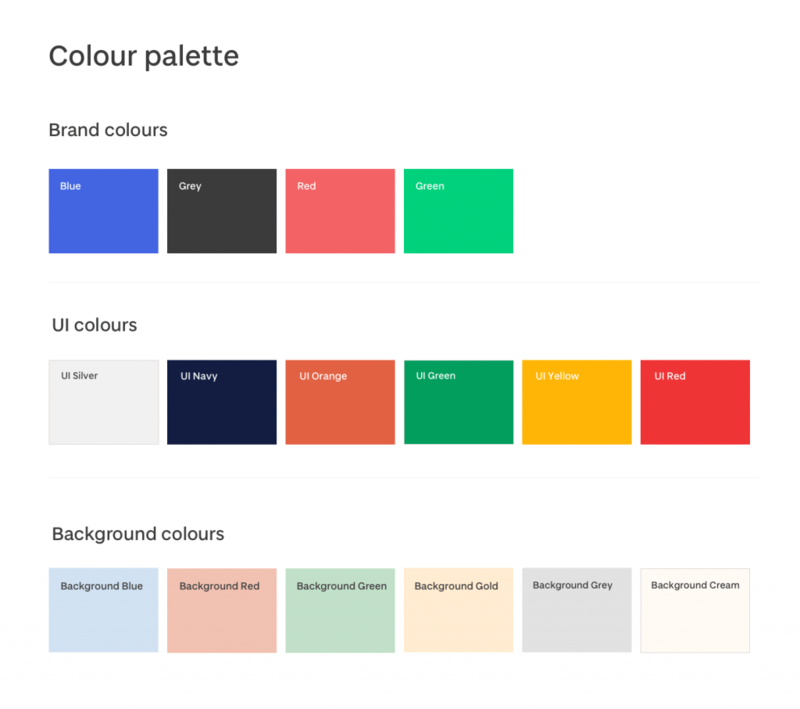 In our design system, colour was one of the first areas we looked at for moving forward. This will ensure we have a good basis or building block for all the work we are going to cover. Colour will help convey user interaction and different elements and components on the page. It will also play a major roll on the overall impression of the new site when a potential student visits the site for the first time. When deciding on the appropriate colour for a website, consideration should be given to the target audience. The colour used for a product focused on the elderly may not fare well with teens or younger generations. Also, over use of extremely bright colours like red, yellow, blue etc. causes eye fatigue and could drive visitors away. As a university, our audience is diverse. This includes a wide range of nationalities and age ranges that we need to take into consideration. 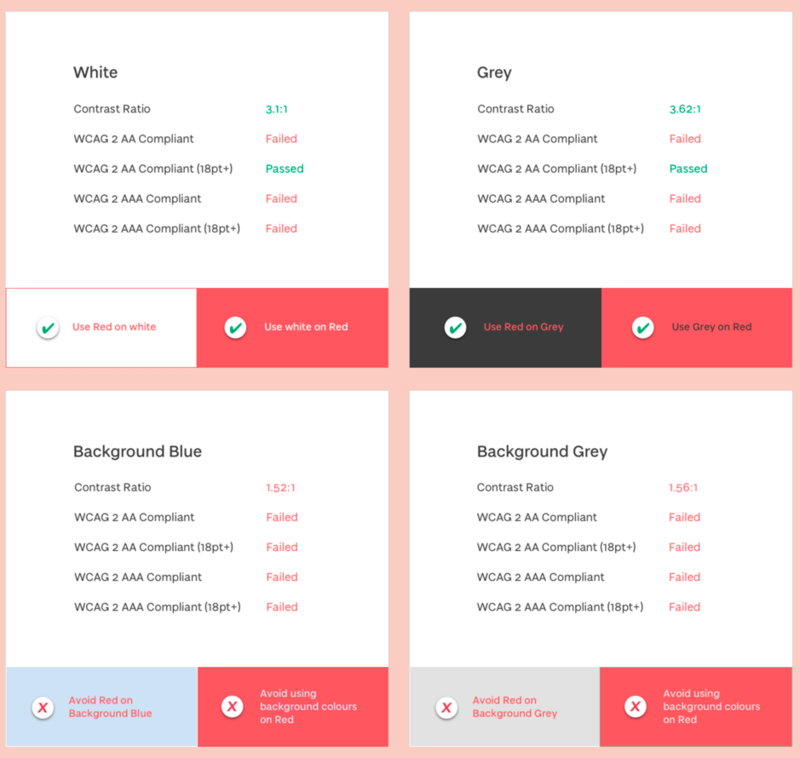 Choosing a colour scheme for a site should be a careful thought process and also take into consideration people with disabilities to allow your information to be available to everyone. Coupled together with colour theory a colour palette should convey a message or ideology, and also make that experience on the end user side memorable. As mentioned previously colour can convey different emotions and indicate different meanings to certain types of audience. Shades, context, content, vibrancy, culture, location, tone are all important in trying to get across a message, product or similar. Red – is attractive and powerful, also for inducing a visitor to take action. Red invokes emotion. Orange – It is known to promote positive thinking and increase creativity. Yellow – signifies cheerfulness and creativity. Green – Green symbolizes prosperity and wealth. Green also invokes trust and is one of the most trendy / corporate colours. Black – is useful for sites that relate to photography and art. Purple – is used in religious sites and vacation sites. This is the most basic tool for combining colours and has been used since the 16th century. Its main purpose is to ensure that any colours you pick from it will look good together. From here we can create colour combinations, tints, shades and tones. Primary colours – these include red, yellow and blue. Secondary colours – green, orange and purple and are made by mixing two Primary colours. 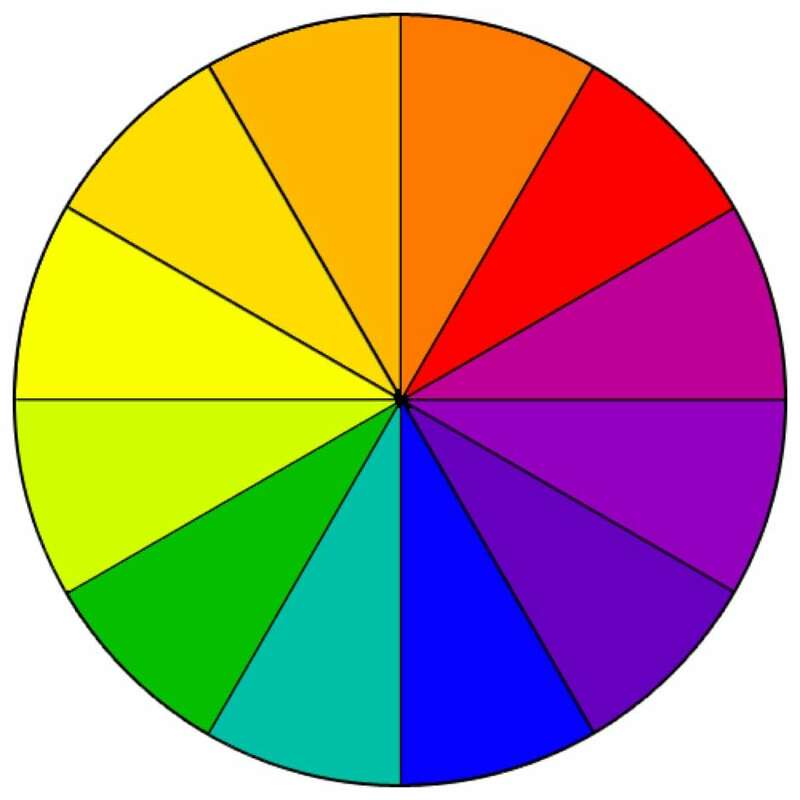 Tertiary colours – six colours on the wheel created by mixing primary and secondary colours. Blue – logos, core brand components, small background areas, links and navigation. The background colours are used for various content areas. “The power of the Web is in its universality. Access by everyone regardless of disability is an essential aspect. One of the major aspects we are looking at whilst going forward with our new website design is the issue of accessibility. When designing for the web we need to take into consideration people with disabilities that include visual, auditory, physical, speech, cognitive, and neurological disabilities. Some people cannot read text if there is not sufficient contrast between the text and background – foreground texts need to have sufficient contrast with background colours. This will include text on images, gradients, buttons and menus etc. Bright colours should be avoided. Using colour to convey information – while in theory there is nothing wrong with this, additional information should be provided. For example, you may mark a required field on a form in red, this should also be accompanied by an asterisk or similar to convey the meaning. A description above the form should then read something like “Required fields are in red and marked with a *”. Interactive elements should be easy to identify – this will cover elements like links and buttons. Text in elements should be meaningful and helpful to the user. Elements should also be consistent and have different states when interacting. Running these type of tests is beneficial for all. Not only will it benefit people with colour blindness disabilities, it will also benefit the average user, for example in strong sunlight when looking at a page on a mobile device. Running these tests regularly coupled with the latest legislation will allow our users to find the information they want and need anytime, anywhere regardless of how they are accessing it. There are many tools available on the web for picking a colour scheme such as Kuler, Coolers and Color trends. Tools like this and many others do not exist simply to “paint a website”, colours should be chosen with purpose and intention. The most impactful websites are the ones that keep the use of colour to a minimum. Often the biggest statement your site can make is in its simplicity. Colour is a powerful tool in building a successful website, it can connect and communicate with a target audience and allows your site to stand out and give it a unique identity. Having previously worked in Glasgow and Edinburgh in similar roles I joined the School of Life Sciences web team as a web designer in May 2012. As of May 2015, I merged into the single web team for the whole university. My main duties include gathering requirements and data from meetings, producing wireframes and designs and building front end templates which will then be passed to development. In my spare time I enjoy football, music, movies and video games.